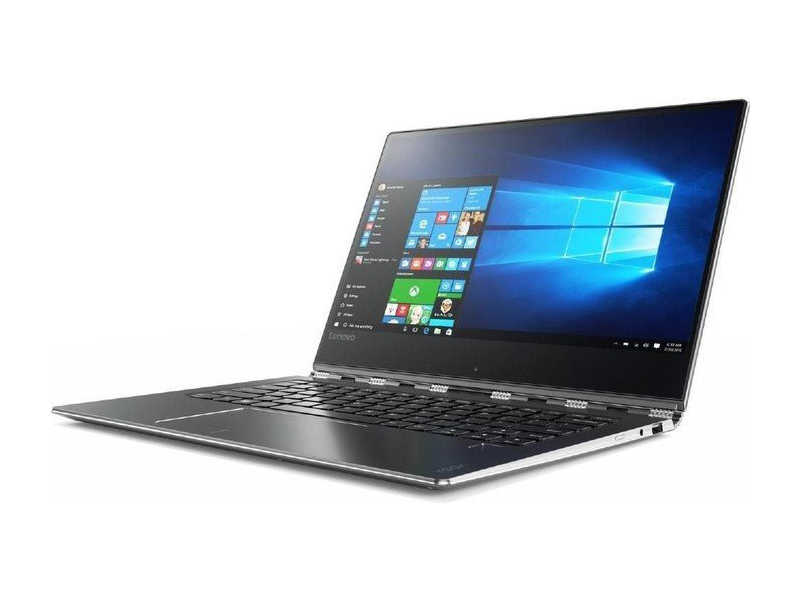 Upgraded from the Yoga 900, the 4th generation of the Yoga Book series manufactured by Lenovo with the 360 degree hinge design, the Lenovo Yoga 910 basically does not make a lot of significant differences in the design compared to the previous version. However, it also brings remarkable improvements. 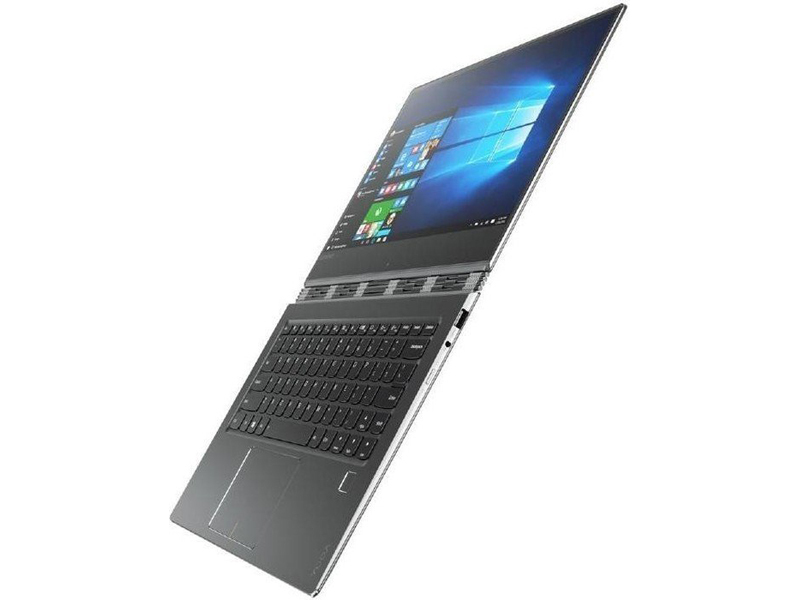 For instance, it is designed to get thinner and lighter and the manufacturer, Lenovo has enlarged its display from 13.3” to 13.9” by using a fashionable super-narrow bezel display. Furthermore, the 7th generation Kaby Lake Intel Core i7 2.7 GHz dual core processor with Intel HD 620 Graphics ensures best performance for this Ultrabook. The glossy IPS touchscreen with either Full HD or 4K resolution gives users an exceptional experience. As a remark from TheVerge, the Lenovo Yoga 910 is considered one of the Best Default Windows Laptops For Everyone when vying with HP’s Spectre X360, Acer’s Spin 7, and the venerable Dell XPS 13. From the outside, the 910 does not look much different from the last year’s Yoga 900, but that’s not a flaw. It’s a classy, sophisticated look that puts the Yoga 910 on the short list of the best-looking laptops on the market, commented from GearOpen. 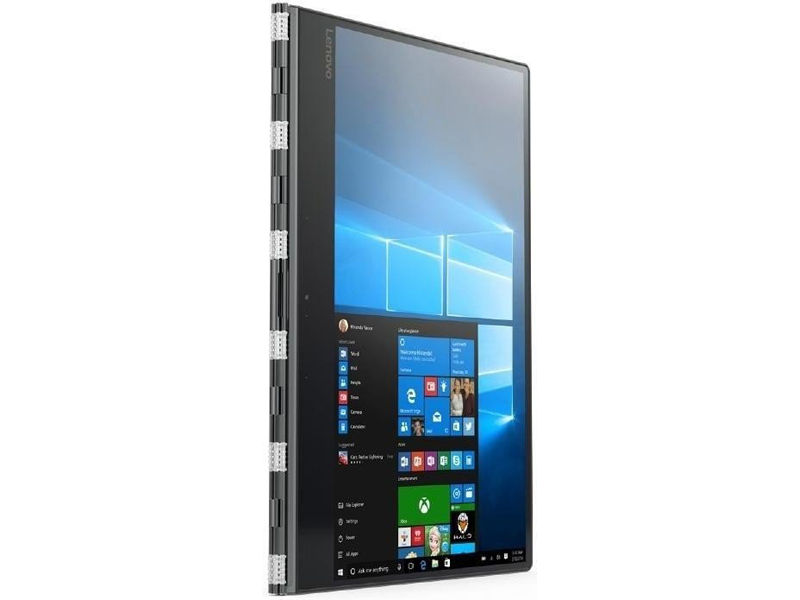 Similarly, the MobileTechReview says, „The CNC aluminum unibody construction is rigid, more so than the previous Yoga 900, and the finish now looks like metal rather than the painted-on finish of the Yoga 900”. This notebook has two display options to choose: Full HD (1920 x 1080) or 4K (3840 x 2160). Certainly, the price depends on the selected display option. GearOpen reports that at 292 nits, the Yoga 910 screen was pretty bright, but it was dimmer than its main competitor - the HP Spectre x360 (318 nits). Beside that, the 910’s color accuracy was also quite strong, since it earned a DeltaE rating of 0.76 (this page considers a rating under 1 to be very good). As remarked from MobileTechReview, the 4K display has more vivid looking colors and higher apparent contrast. The 1080p panel is made by AU Optronics while the 4K display is constructed by LG and definitely looks better than the 1080p model. Following a comment from GearOpen: With the 65 g actuation weight required to depressed the keys, the reviewer to reach 75 words per minutes for his first try. 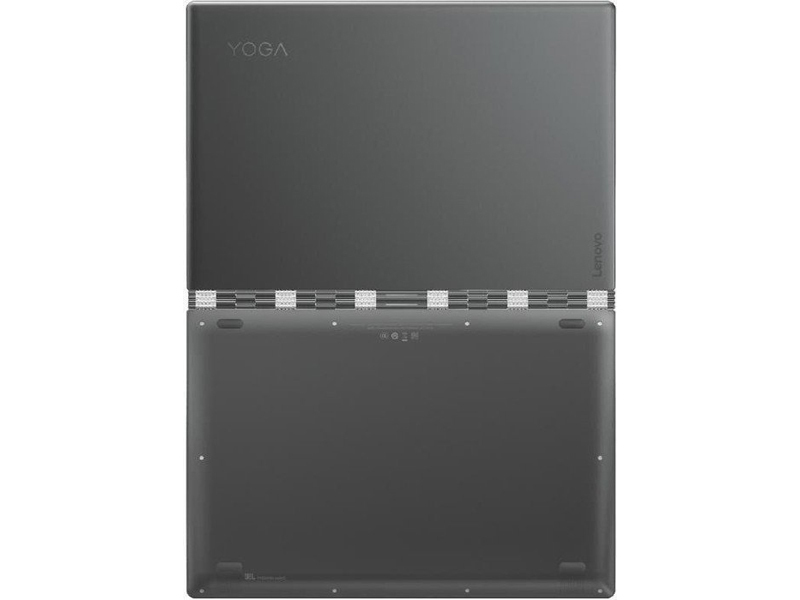 “Unlike the silver keys on a silver frame of HP’s and Microsoft’s convertibles, the black smile-shaped keys on the Yoga offer more contrast. 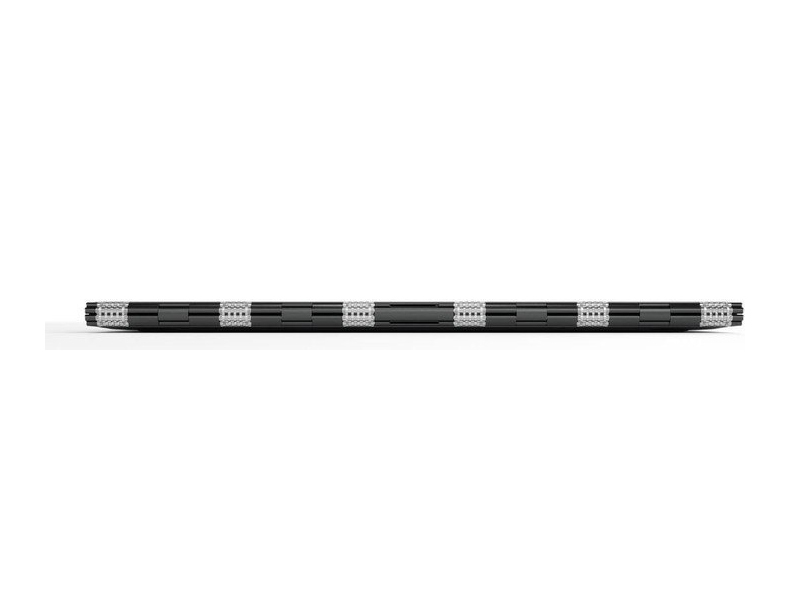 This makes the Yoga 910 look a bit less sleek to me, but I appreciated the contrast”, says PasteMagazine. However, for MobileTechReview, it’s just a good enough keyboard for most unless you particularly hate short travel keyboards. But, “For the most part, the keyboard on the Yoga 910 is good. There’s plenty of key travel, their keys are well-spaced with a curved bottom edge that make them feel like they’re even bigger targets”, TheVerge evaluated. Moreover, in the point of view from TrustReview, keys feel suitably spread out and in general, the reviewer did not have serious issues typing on Yoga 910. The Yoga 910 features a 2.7 GHz Intel Core i7-7500U CPU. Lenovo gives the customers two choices: 8 GB of RAM and a 256 GB PCIe SSD for 1080p screen solution or 16 GB of RAM for the 4K display. The CPU’s efficiency is boosted with this minor upgrade so the CPU can run at Turbo Boost speed for longer without overheating. Therefore, it is concluded that the Intel 7th generation Kaby Lake is able to make a better battery life and reduced heat obviously. “The Yoga 910 was never hurting for power. Even when the Yoga 910 had upward of 15 tabs in Chrome and a couple of HD Youtube streams playing in the background, I didn’t notice a hint of lag”, remarked GearOpen. Similarly, the PasteMagazine says that performance had never been an issue for the Yoga 910, even with multiple apps, programs and browser windows opened. The Yoga 910 had performed fine with light gaming, video editing and photo editing. In addition, TheVerge announced: “I’ve been running multiple apps and have kept an ungodly amount of both Edge and Chrome browser tabs open, without any problem”. About battery, GearOpen has confirmed that the Yoga 910 brings a significant improvement in battery life. On the Laptop Mag Battery Test (continuous web surfing over Wi-fi), the Yoga 910 lasted 10 hours and 36 minutes (on 1080p display), which is 2.5 hours longer than last year’s Yoga 900 (7:57 hours). And for the 4K display, TheVerge says that the battery life did not quite live up to Lenovo’s 9-hour claim, but it was still good. On their looping website test, it had pulled a respectable 7 hours and 44 minutes with the 4K display. According to GearOpen, the sound system consisting of two bottom-mounted JBL speakers, are pretty decent and can easily fill a room with sound. The connectivity consists of one USB Type-A and two USB-C ports, while it does not include Thunderbolt 3. In addition there is a built-in fingerprint reader, which you can use to sign in to Windows or other services. One USB-type C port can be used to recharge the notebook, making it more convenient. However, the reviewer of TheVerge says that he couldn’t get the back USB-C port to do anything at all except work as a power jack - and even then, it worked best with the USB-C power adapter and cable that came with the laptop. In general, GearOpen considered that Yoga does have a worthy competitor: HP’s Spectre x360 is even lighter, and it has better speakers and Thunderbolt 3 with the nearly same amount of battery life while the choice comes when you value the Yoga 910’s larger screen display and 4K resolution. And as commented from TheVerge, the Yoga 910 is a good laptop, maybe even a very good one, but it’s not a great one. “In the past the Yoga 900 series has blended a good mix of affordability with performance, but this latest iteration may skew things too far into the luxury category”, concluded TechRadar. To sum up, most users consider the Lenovo Yoga 910 a high-end Ultrabook because of its performance. The exceptional design including the larger screen and the edgier design combined with the 7th generation of the Intel Core i7 by Kaby Lake CPU makes this notebook nearly perfect in the 2-in-1 laptop formula. 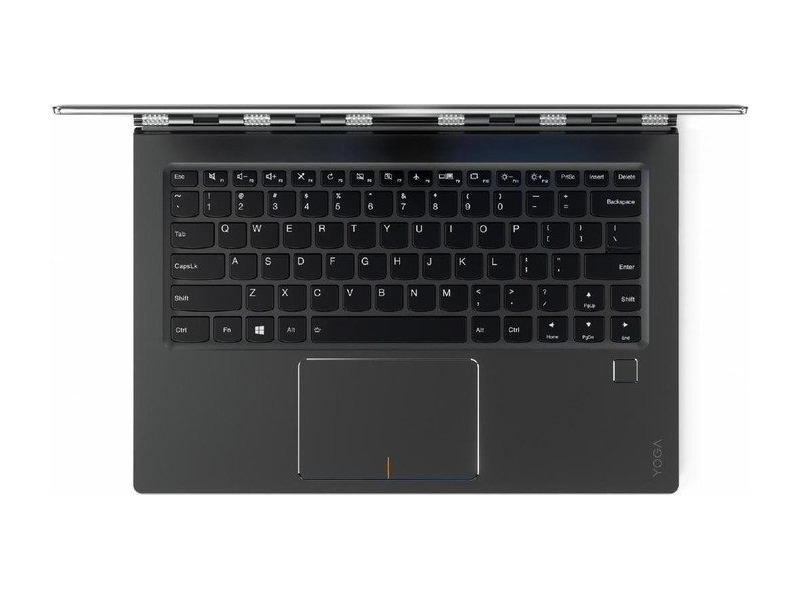 Especially, the Yoga 910 has received lots of positive reviews from users who are really interesting in this convertible series. Lenovo still keeps what users were attracted to in the Yoga series like the metal body, and the unique functional watchband hinge. Moreover, another considerable note of the Yoga 910 is the great 4K display without battery obliteration. PasteMagazine had a good remark about this laptop generally: “The Yoga 910 is a near perfect convertible for 2016 if you are willing to make some compromises”. Nevertheless, this notebook still has a few flaws. For example, fans seem to run constantly and the manufacturer seems to concentrate into luxury category instead of affordability with performance. Anyway, the Yoga 910 still is a great convertible laptop of Lenovo because of its extraordinary specifications. 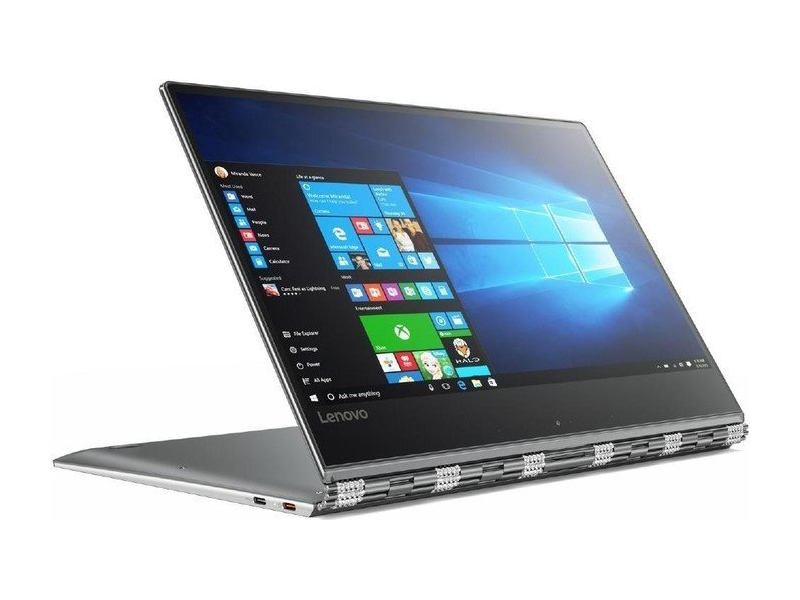 Finally, MobileTechReview comments, “There’s a lot to love here, the Lenovo Yoga 910 is the slimmest, lightest and best looking Yoga in Lenovo’s consumer line to date. It’s rigid, well-made and that watchband hinge is as striking and functional as ever. This is a high-end Ultrabook with a price tag to match”.